Automat restaurants - Horn & Hardart was the most prominent automat chain. Originally, the machines in U.S. automats took only nickels. In the original format, a cashier sat in a change booth in the center of the restaurant, behind a wide marble counter with five to eight rounded depressions. 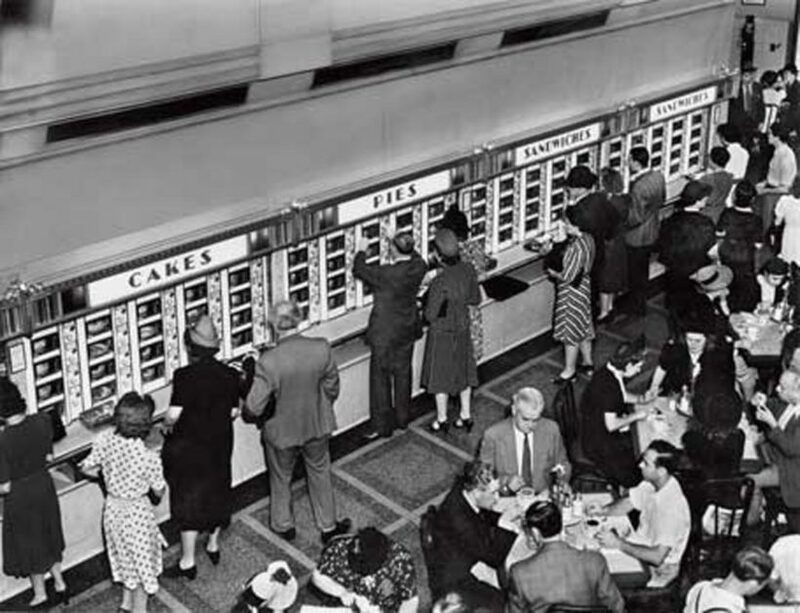 The diner would insert the required number of coins in a machine and then lift a window, hinged at the top, and remove the meal, usually wrapped in waxed paper. The machines were replenished from the kitchen behind. Essential to the sustenance of righteous opposition is maintaining an appropriate spiritual and psychological stance toward the Trump calamity. It will be difficult to keep fresh a keen sense of outrage, indignation, anger, disappointment, and, yes, contempt in the coming weeks, months, and years. Inertia dulls idealism and normalizes the outrageous. . . . But it is incumbent upon those who are rightly alarmed by the Trump ascendancy to resist familiar conventions. This is a peculiarly trying moment that will hopefully prompt an unprecedented assertion of resoluteness in defense of progressive values. Man, being a progressive sounds exhausting.